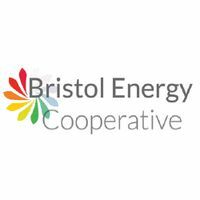 Bristol Energy Cooperative (BEC) is a community-owned energy cooperative, growing Greater Bristol’s local green energy supply and making the benefits available to all. We develop renewable energy and energy efficiency projects, and help others to do the same. We got started in 2011. Our projects are funded by investor members, who receive interest on their investment from the money we receive for the energy we produce. Decisions are made on a one-member one-vote basis at our AGMs. We're a people-owned power station for Greater Bristol!